Baz Luhrmann called it ‘one of the most exhilarating projects on our recent history of classical music’ and it is going to happen again in Sydney and Melbourne for three performances commencing 2nd October. The renowned Zubin Mehta will conduct a unique group of players that form The Australian World Orchestra. It comprises leading orchestral musicians from all over the world who will come together to play Mahler’s first symphony and Stravinsky’s Rite of Spring. They are unique because they are all Australian. The Australian World Orchestra is the brainchild of Alexander Briger, a prominent Australian conductor. 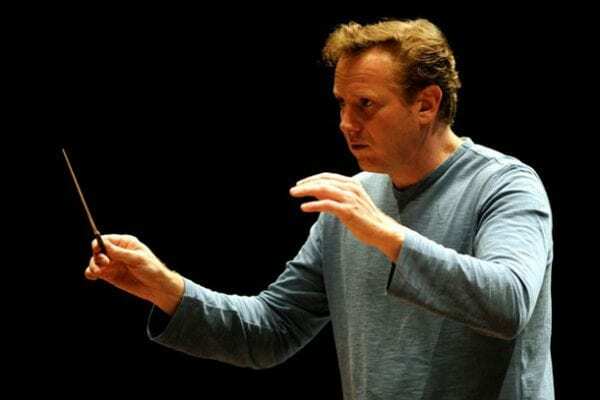 In 2006 he was invited to conduct the Japan Virtuoso Symphony Orchestra, which comprised Japanese musicians brought home annually from many parts of the world to perform. He thought, could we do that with Australian musicians? Many of them hold key playing positions in leading orchestras around the globe. Could we bring them home to form an orchestra that would play a couple of concerts? What would such an orchestra sound like? Briger tossed the idea around with his family in Sydney. His sister, Gabrielle Thompson, and uncle, Sir Charles Mackerras, both loved it. While the idea was superb, the logistics were a nightmare. It would take a budget of around two million dollars to bring it off. That meant firing up the enthusiasm of state and federal governments, sponsors and donors, to say nothing of inviting and organising the travel of more than a hundred musicians. Thompson took up the awesome challenge of the financials while Sir Charles became the project’s mentor. He wanted to conduct the first performance but didn’t live to see the musicians stride on to the Sydney Opera House stage on 2nd August, 2011. The audience reception was so overwhelming that many of the players were in tears before they had sounded a note. One hundred and five Australian musicians will make up the orchestra. Half have been drawn from Australian orchestras and half brought from overseas. Without exception they are the pick of the crop and they settle between themselves who will lead each section. While the 2011 concerts were conducted by Alexander Briger, Simone Young and Brett Dean – in keeping with the Australian theme – the securing of Zubin Mehta for this year’s performances is a real coup. It happened through people knowing people. Australian Nick Deutsch is a leading oboist with the Israel Philharmonic where Mehta is ‘conductor for life’ and very much a father figure to the orchestra. Deutsch floated the idea to Mehta who immediately wanted to do it. Briger notes that Mehta loves Australia and, being a cricket tragic, once had an exhilarating lunch with late Sir Donald Bradman. The three concerts (two in Melbourne’s Hamer Hall and one in the Sydney Opera House) will probably be sell-outs. As well as a ticket, patrons will probably need to take a clean handkerchief or two.